Team Terror is still available, too. Epic Games is keeping the holiday cheer alive by adding another brand-new Limited Time Mode to Fortnite: Battle Royale today. Slide is the latest LTM, replacing the Barebones mode that was introduced yesterday. “Ice blocks on everyone’s feet, infinite ammo Grapplers in everyone’s inventory—a recipe for a slippery good time,” the in-game description reads. Just as the description says, you literally have ice blocks on your feet at all times, which adds a different element to how you maneuver the map. 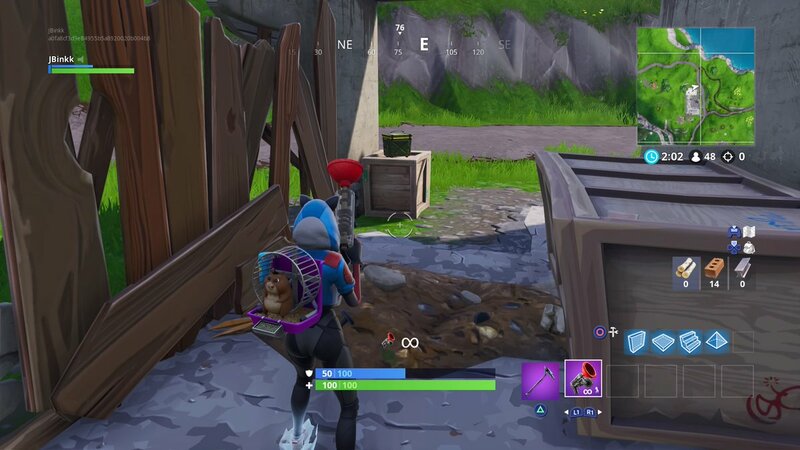 Throw in the infinite-ammo Grapplers, and you’re set to have some fun in this LTM. You can even jump super high, too. It can be a little tricky to get chests in high-up locations, though—you’ll just slide back down even if you reach the top. 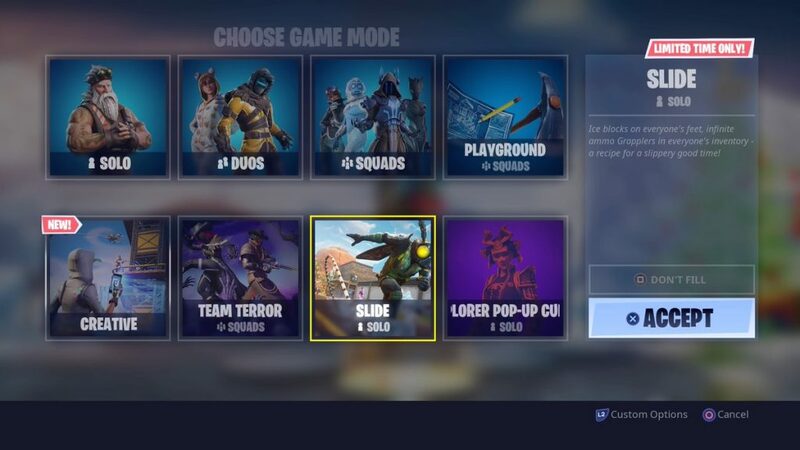 Team Terror, which returned to the game yesterday, will also remain as an LTM for at least another day. The mode was originally introduced on Nov. 6 in Patch 6.22, and it features two teams battling against one another while also fighting off Cube Monsters. Epic Games has been cycling out LTMs each day throughout the holiday season—so Slide will likely only be featured in Fortnite until tomorrow morning.